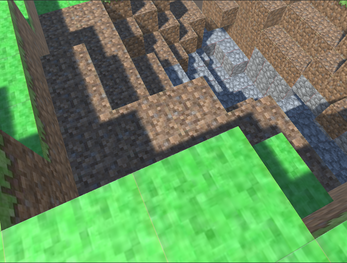 Voxel world generator - like a copy of minecraft but poor and badly optimized. Summary: I always wanted to recreate the Minecraft world. You can walk around and new chunks of land should generate - eventually. It is unfinished and I am going to add the block destruction (maybe before game jam ends). What went bad: I have been following a tutorial on thin thing and it ended up being not very well optimized. What went good: I have learned ton of stuff about Perlin Noise and how to use it in procedural content generation. I have also worked very hard when I had the opportunity so its progress from what I was doing during the last coupe of weeks - like missing week 9 game.